Each shade comes in a 4g glass pot with an included brush. The packaging is quite stylish with the Chanel 'CC' embossed on the lid. I currently own two shades; Emerveille and Illusoire. These shadows have an almost strange texture. They are quite spongy to the touch. They are quite thick and feel like a cream. I find these to be highly pigmented with excellent colour payoff. They are quite easy to apply with either your fingers or a brush. Depending on the brush it can be hard to pick up product. I usually apply onto my eyelids with my fingers first and then use a brush to finish off the look. These shadows dry into a powder like finish. I have found they last all day (around 10 hours) without creasing, fading or smudging. I do not use a primer under these. Depending on the look you are going for you can apply these quite sheerly or more intensely. I find you can apply just one colour and achieve a really nice smokey eye. When applying you can wait for the shadow to dry and then apply another layer on the same shadow or even a powder shadow. 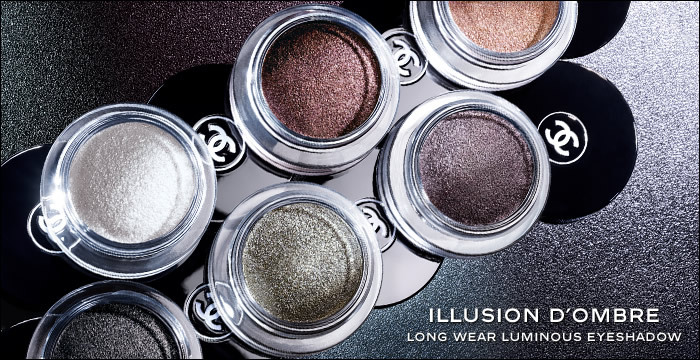 These shadows could be considered expensive but I believe they are worth the price. For the price you get quite a lot of product and it will last some time. I know, personally that I can't wait to get to a Chanel counter (not til March.. boo) to buy more. Chanel really has a winning product here. Do you own any Illusion D'Ombre's? What do you think of them? Do you want to purchase them? Any products you recommend I check out at the Chanel counter? I really love the look of these. Such gorgeous colours! 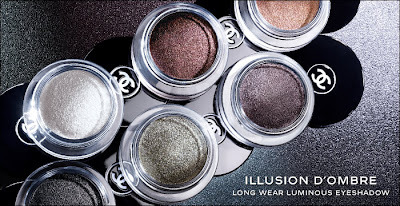 I might get some later on as I already have a million unused eye shadows. What colour will you get next? I love these. I am planning on buying them all eventually. Just have to get to a Chanel counter again, the closest is 3 hours away :(. These look super pretty :) how do they compare to the MNY Color Tattoos?